Publisher EDITIONS SAEP, COLMAR, 1982. 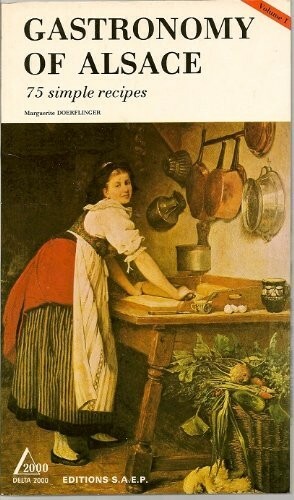 This richly illustrated booklet takes us, by means of a collection of traditional recipes, on a little journey around Alsace. It presents a variety of easy-to-prepare country dishes which have been handed down from generation to generation. These dishes were conditioned by the way to life of our forefathers, the produce of their lands, their hunting and their fishing. They have withstood the test of time firstly in families eager to preserve a gastronomic heritage and, secondly, on the menus of our restaurants and "kachele" where people flock today to try to recapture the flavour of the dishes of days gone by.